Prizren has been named the prettiest city in Kosovo and for good reason. The oldest preserved old town in Kosovo, this quaint town with its cobbled streets and Ottoman-style architecture has been listed as a Unesco World Heritage site and is simply charming. Crisscrossed by medieval stone bridges, the Bistrica River wends it’s way down the Sharr mountains and through the centre of Prizren’s old town, where bustling restaurants and cafe’s line its banks. Nestled on top of the hill, overlooking the town is the Prizren Fortress, also called the Kalaja Fortress. It’s a steep 20-minute hike up, but the views over the city are amazing and worth the little bit of effort. Built in the 13th Century by the Byzantines, the fort was expanded upon and was declared a Monument of Culture of Exceptional Importance in 1948. The fortress is always open and there is no entrance fee, so well worth the trip. The most iconic site is the stone bridge crossing the Bistrica River. The original bridge was built in the 16th Century but a flood in 1979 destroyed it and it was rebuilt in 1982. Dominating the skyline of Prizren is the Sinan Pasha Mosque. Built in the 16th Century, it is the largest mosque in Prizren with its minaret reaching up to the heavens. The interior walls have been painted with beautiful floral patterns and verses from the Qur’an. Just make sure to remove your shoes and cover up as it is a holy site. Shadervan Square is the heart of the old city and it was busy and bustling with tourists and locals alike. In the middle of the square is the Shadervan Fountain, which is frequented by locals, stopping for a drink of the pure mountain water. There are numerous restaurants and cafes and the coffee culture was strongly evident here as well. 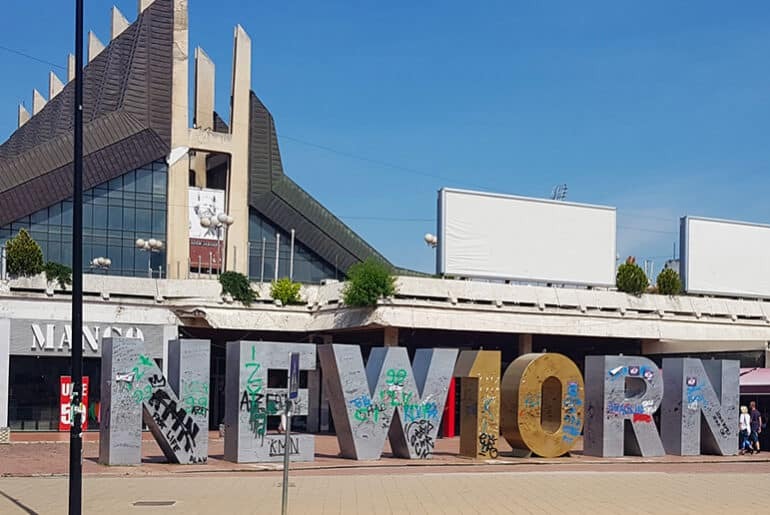 The formation of the Albanian League of Prizren (Muzeu Lidhja Shqiptare e Prizrenit) is generally seen as the starting point for modern Albanian nationalism and many towns in Kosovo now celebrate their links with the league. The buildings where they met – a series of low roofed houses around a courtyard – now house a museum complex with a collection of paintings and sculptures depicting the Albanian national struggle. The entrance fee is 1 Euro. There are a number of churches in Prizren that are off-limits to visitors. You can try and request permission from the guards to walk on the grounds, but often are not allowed inside the church. Our Lady of Ljevis was surrounded by barbed wire and the Cathedral of St. George doesn’t even allow photos to be taken from the street! Following a growing trend through Europe, Prizren has its own Love Lock Bridge. Just down from the famous Stone Bridge, you’ll find an array of locks that have been attached by lovers and travelers alike. On arrival in Prizren, we drove through the town and followed the river a few kilometres into the mountain to the Serbian Orthodox Monastery of the Holy Archangels. As we got to the gate, we were approached by guards who asked for my passport to keep while we were visiting. Apparently, there have been attacks on holy sites by Albanian militants, which is why these security measures have been put in place. The monastery was heavily under construction, but its location right next to the river was tranquil and very peaceful. Back down towards town, there was a paid parking and for only 5€ for 24 hours, we decided to park up for the night. Below us was a sports centre and amusement park and a lovely walking/bicycle path followed the river all the way to the centre of the old town. If you are traveling with kids, the amusement park is a fabulous place. Bumper cars, shooting range, candy floss stalls and more. After visiting the tourist attractions, we found a table right alongside the Bistrica river and watched the sunset while eating a cevapcici and greek salad – yum! Restaurants line the length of the river offering lots of choices of where to dine. There are also some great places to eat in the main square from where you can watch the locals busily going about their daily lives. Be aware that the menu options will consist of meat, meat and more meat. Great for meat lovers, but not so much for vegetarians. There are not many vegetarian options apart from greek salads, but pizza could be an option. 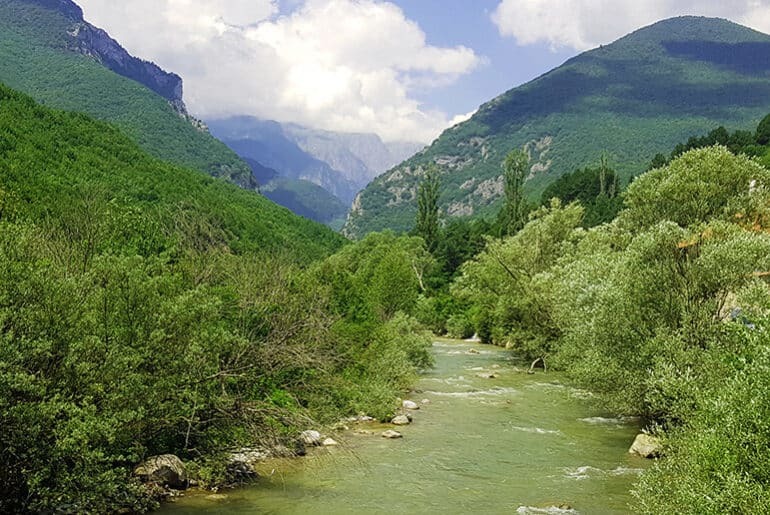 To reach the Sharr Mountains National Park follow the river upstream through Prizren, towards the Sharr Mountains. Keep climbing until you reach Prevalac Pass (1 515 m)and a little further on you will see Mount Bistrica (2 640 m). The Sharr Mountains National Park is the perfect place for cycling and hiking and there is a ski resort if you are there during winter. The famous Štrbačko Jezero (lake) is the hidden pearl of the whole National park. It will require a 2-3 hour hike to reach, but is so worth it! Kosovo is the smallest country in Eastern Europe with the entire width of the country being only 150km. That means that wherever you are based, everything is easily accessible as a day trip. The capital city of Kosovo, Pristina, is an easy 1.5hrs drive away to the North East, while Peja is 1.5hrs drive to the North West. 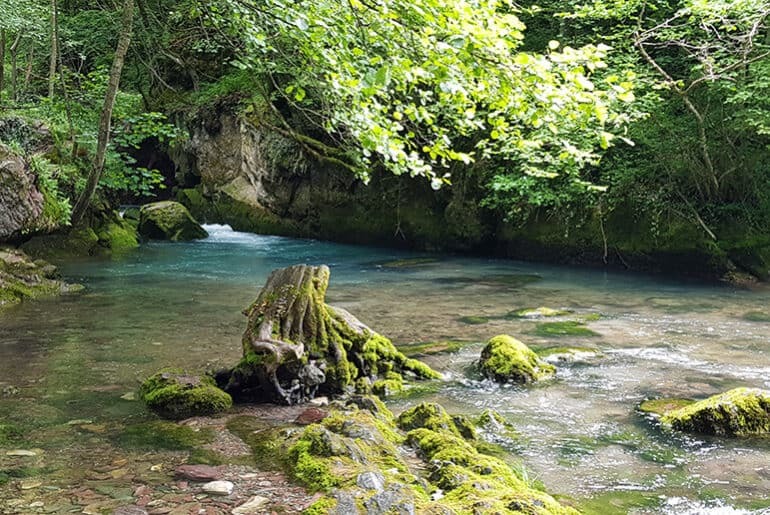 There is more than a day’s worth of things to see and do in both Peja and Pristina, but if you are pushed for time, a day trip to each will suffice. See our post on Things to do in Peja, Kosovo. Prizren has a small selection of accommodation options. These are either alongside the river or up Sheshi Shadervanit Street, which is the main thoroughfare in the Old Town. No matter where you stay, you will be within a 10 minute walking distance from the Stone Bridge, which is the central hub of the town. 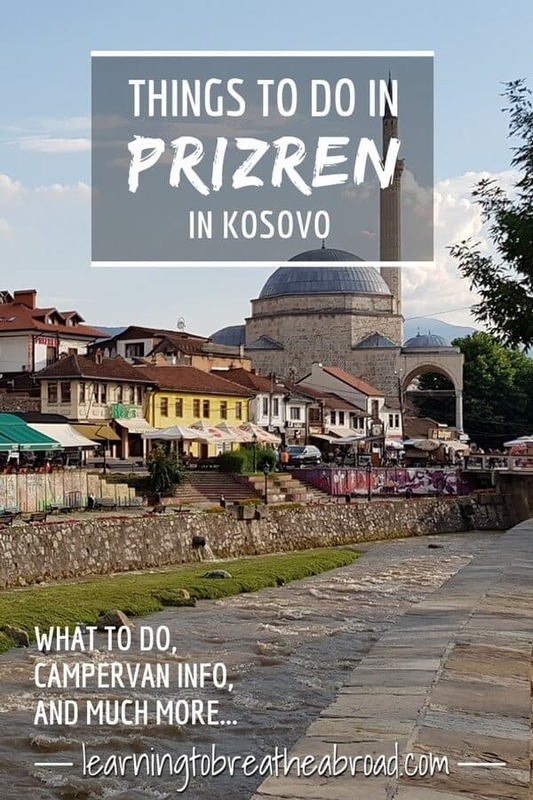 Located just 100 m from the Old Town of Prizren and 500 m from the Prizren Fortress, Hotel Prizreni offers air-conditioned rooms with a free Wi-Fi access. There is a bar with a small terrace and balcony on site. If you are looking for a hostel, the M99 Hostel comes highly recommended and has an excellent location right in the center of the Old Town. Find the best deals on accommodation in Prizren here. Our gas bottles needed refilling, so as we were leaving Prizren I pulled over next to a hardware store. Within seconds I had 6 men trying to assist! No one could speak English, so one guy called his English speaking friend on the phone. I was handed the phone so that I could explain what I needed. Within minutes a new guy arrived who spoke English and got stuck in removing the empty bottles, getting them refilled at the petrol station and reconnecting them back in the van. He then refused to accept payment for his efforts. Once again, the people of Kosovo had gone above and beyond in assisting us! Really remarkable people! We stayed alongside the Bistrica River next to the sports centre and amusement park. This was a large, flat, paid parking. There was a lovely walkway/cycle path into town, about a 10min walk to the stone bridge. Parking cost 5Euro for 24 hours. No services, but there was a guard on duty all night.